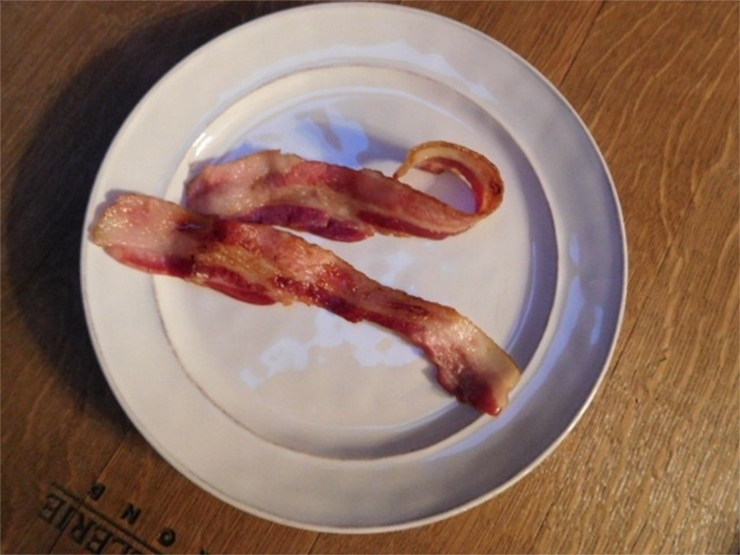 Will eating bacon for breakfast give you cancer? The recent WHO study linking red and cured meats to possible increased risk of cancer is not news. We have long known of a link. As far as significance, you be the judge. If you live in the U.S. and eat 2 slices (or 1.8 ounces) of bacon every day for your entire life (is this likely?) your lifetime risk of getting colon cancer goes from 4.5 to 5.3 percent. In other words your cancer risk goes up less than 1 percent. The media prefers the shock value of a bigger number so they simply rework the difference between 4.5 and 5.3 to give 18%. An estimated 34,000 cancer deaths worldwide are said to result from eating processed meat. Roughly 1.7 MILLION deaths worldwide are attributable to low vegetable and fruit intake. Why didn’t the WHO suggest having an extra large salad with your bacon burger? A bigger risk comes from prescription drugs. An estimated 128,000 people die each year from properly prescribed drugs. Overuse and mistakes drive this number much higher. Are you taking a statin for high cholesterol, a blood thinner? Bacon may be a healthier choice. You don’t see a lot of class action lawsuits against bacon, but you do see them for blood thinners and pain meds. The research lumped all types of meat together. Cancer experts suspect differences in quality of meat consumed impacts cancer risk too. Cattle in some feedlots are not only fed GMO corn and soy, they are fed municipal garbage, discarded molding pizza crusts and candy, and even worse: other cattle. They are dosed with hormones (known to cause cancer) and antibiotics. Grass fed beef is a good source of omega 3 fats, the type that reduces cancer and heart disease risk whereas the grains and junk food fed cattle are higher in omega 6 fats, the kind that contributes to inflammation and disease. Some cancer clinics successfully treat cancer using high meats diets. When a patient’s constitution benefits from a high intake of meat, and some do (especially sympathetic dominant types), meat promotes health and prevents cancer. Meat should always grass fed and organic. And finally, if you are worried about cancer, you should be cutting out sweets, not meat. The fuel of choice for cancer is sugar. Feeding sugar is how researchers get cancer cells to grow and divide. The takeaway: If you eat more vegetables, cut the desserts, and take less drugs, your odds of a long healthy life are greater than if you cut out steak and bacon. I can always count on your wisdom and balance Linda! Thank you! So well-written, Linda. Thank you. I also want to add that in addition to comparing grass-fed to feedlot beef, how we cook our meat can affect levels of carcinogens. For example, grilling or charring meat has been shown to have higher levels of carcinogens than roasting or cooking with condensation. As you inferred, there’s more to this than meets the eye. I appreciate you mentioning this Pamela. Your web site gives a plethora of great recipes and tips for properly preparing meats. I go there often for cooking ideas! Great post. I wholeheartedly agree with you, and love that you’re a nutritionist who favors meat for those of us who need it. What about processed meats? I have a friend who lives on deli “meats” — ham, turkey, bologna, etc. Yuck. Thanks Debra. The WHO implicated processed meats more than red meat. The most likely culprits are nitrites/nitrates and sugar used in curing, although there could be something else used in the process, including smoking, that is not healthy in large quantities. And then of course, some companies start with cheap meats. I buy a sustainable nitrite-free bacon and grass fed beef and recommend the same to clients. Thank you, Linda, for being a voice of reason. Few people look beyond the media’s headlines & sound bites & are left dangerously misinformed. It’s true Amy. I am hearing of people going vegetarian after reading the headlines.